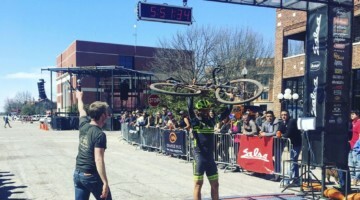 Notes from the Pit; What Do Pro Teams Bring to UCI Race Weekends? 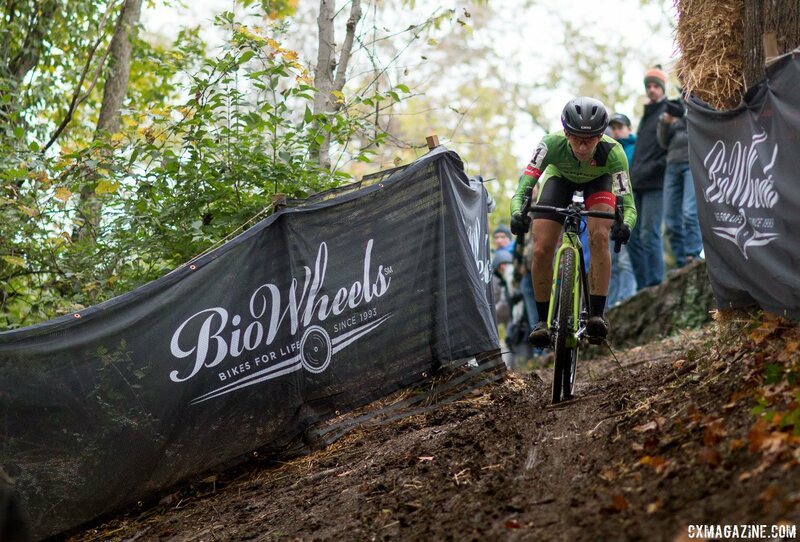 Notes from the Pit: How Many Wheels, Tires and Bikes to Pro Teams Bring to UCI Weekends? One of the many challenges for amateur bike riders looking to race for UCI points or just against better competition is transporting bikes, wheels and everything else to and from regional races each weekend. Fortunately, during the season, one advantage of having 40+ UCI races in the U.S. is many riders are within driving distance of several UCI races during the season. Come Nationals, that is not always the case, especially in years like this one where the event is held out West. With Reno 2,500+ miles away from the East Coast, transporting bikes becomes that much more challenging. 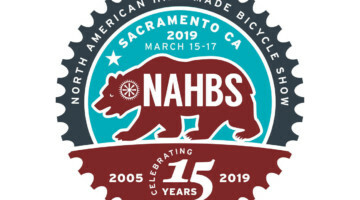 Even with options such as BikeFlights available, amateur races — and likely some professionals — have to make tough equipment choices even before they hit the road. This past season, Cyclocross Magazine contributor Brandon Grant spent some time talking with team mechanics and managers during the UCI weekends in Cincinnati, Louisville and Indianapolis. We wanted to get a better idea of how pro teams pack for major race weekends and what kinds of equipment are available to their sponsored riders during big races like Nationals. 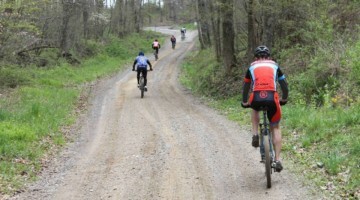 The three OVCX UCI weekends also featured variable weather conditions and a good amount of mud. Similarly, Nationals has historically been notorious for its unpredictable weather conditions. For example, last year in Hartford the course went from muddy to rutted to frozen and rutted to frozen, snowy and rutted. If you pre-rode the conditions one day, the course likely changed by the next. 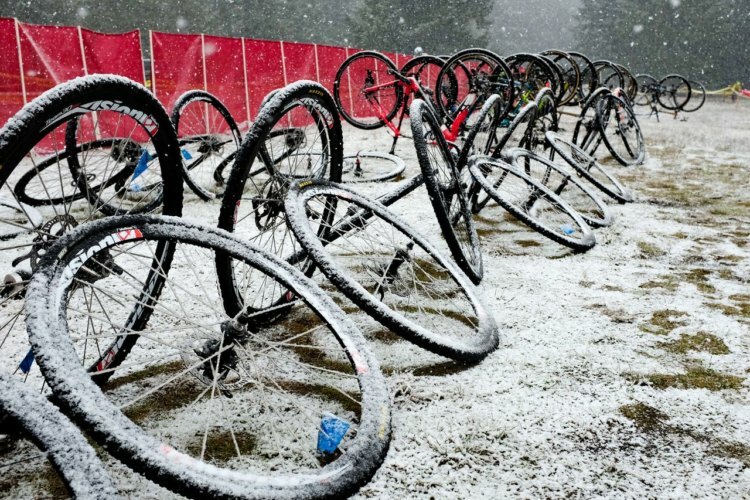 We wanted to learn more about the tires available to riders and how many options they have when the weather turns bad. Finally, for amateurs traveling to Nationals, a flatted tubular during pre-ride can be disastrous. Are pro teams in a similar situation? How do they deal with repairing flats and are they prepared for a flat-inducing hellscape like the Sunday races at the 2017 World Championships? Brandon headed into the pits to learn more about how the pros live, at least equipment-wise, when on the road. The table below shows the teams and individual programs we spoke with. Although Kona had a larger roster at the time, only Kerry Werner was at the races in Cincinnati and Louisville. 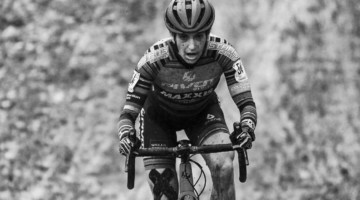 As we will discuss, although Caroline Mani and Sunny Gilbert are sponsored by Van Dessel, Mani’s situation in Louisville and Gilbert’s at the Major Taylor Cup were different. Of course, the biggest and best-funded teams have a plethora of equipment. 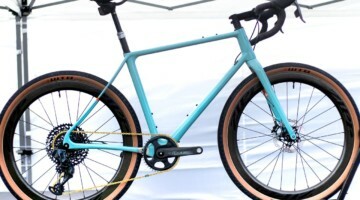 Cannondale p/b CyclocrossWorld has a large trailer filled with a lot of everything, sometimes even coveted green Michelin Mud clincher treads, the same ones Wout van Aert used to win 2017 Worlds. The distribution of bikes among the teams and individuals was pretty consistent. Each had at least two bikes per rider and some had three. The teams that brought three bikes per rider included Donnelly, Kona and Katie Compton’s KFC Racing program. Katie Compton traveled back to Louisville from Europe for the sole purpose of racing the Pan-American Championships. She brought three bikes with her, two current-generation Trek Boones with the front IsoSpeed decoupler and one of last year’s model. The older Boone only got used with Strada USH tires on the rollers during her warm-ups. Equipment choices were much more varied in the wheel and tire departments. The wheels and choice options available to riders are summarized in the following tables. The most amusing response came from the Pivot Cycles p/b DNA Cycling mechanic for Courtenay McFadden and Sofia Gomez-Villafane. “I don’t know how many, we have a lot of wheels on the truck,” he said. One thing that stands out that even come late October and early November, the teams still travel with file treads. Conditions out West at events like the dry and dusty Resolution Cross Cup warrant having files treads, but the conditions at the three Midwest were forecasted to be muddy and were quite messy come race day. Caroline Mani uses her file treads on the trainer, so that may explain how many get used come that time of year. 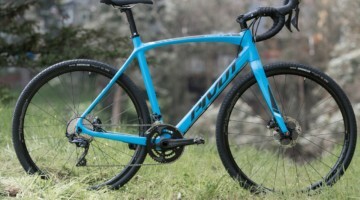 “I don’t know how many, we have a lot of wheels on the truck” –Pivot Cycles p/b DNA Cycling team mechanic. 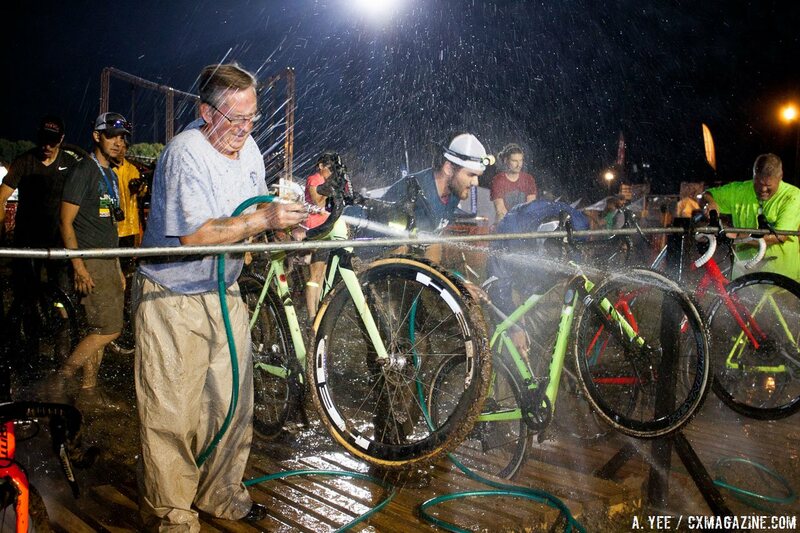 The larger teams show what economies of scale can mean for cyclocross. The Donnelly team had three sponsored riders in Cincy and Louisville. 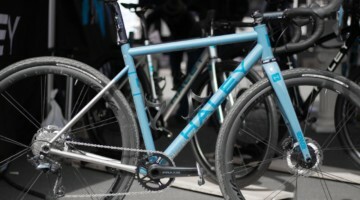 Each rider had three bikes and each bike had three sets of wheels available to it: one each of the LAS file, MXP intermediate and a mix of PDX and BOS mud treads. Bikes, wheels and tires, how many were going to St. Ives? When stuff starts falling from the sky, pit wheels can save a race when pit bikes or pit crews aren’t available. photo: MFG #5, 2017. 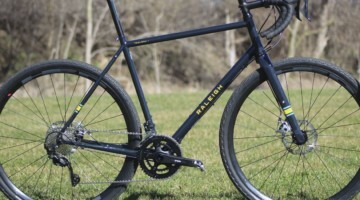 The Alpha Bicycle – Groove Subaru team had a healthy contingent of young riders at the Pan-American Championships in Louisville and a truck of equipment to support them. 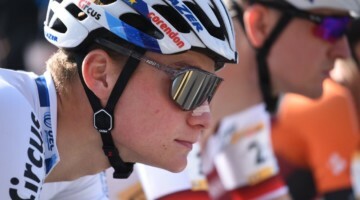 The roster included four riders, two in each of the U23 UCI races, supported by 38 wheelsets split among them. 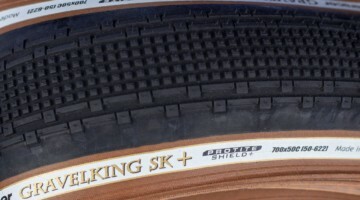 The tires available fit the conditions, with 12 sets of PDX and 8 sets of BOS mud tires and 10 sets of the intermediate MXPs. After our interview with Ortenblad about our new partnership with Vittoria Tires and his describing himself as an “equipment nerd,” the completeness of his equipment options is not surprising. Ortenblad only had two of his Santa Cruz Stigmatas, but he had a whopping nine sets of tubular wheels. At the time, Ortenblad was sponsored by Donnelly, so he had three each of the LAS, MXP and PDXs. And after Sunday, one of them had his Macgyvered MudXP tires mounted up. 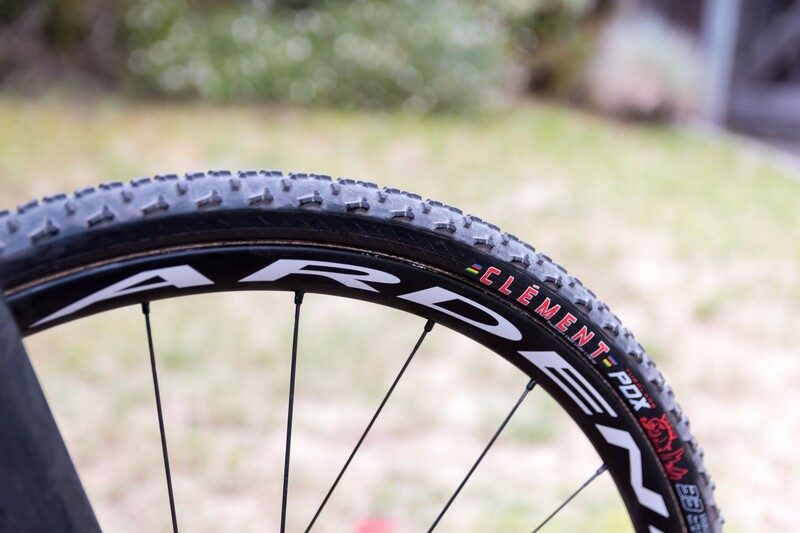 Ortenblad and Drew Dillman showed that sometimes even the pros use clinchers on race weekends. Ortenblad also had three sets of clinchers for training and emergency use, which likely came in handy during the week he spent training in the Midwest after Cincy. Drew Dillman also brought a set of clincher wheels with him in case he needed a backup tubeless option. Speaking of tubeless, one of the outliers from the other teams is, not surprisingly, the tubeless-equipped Stan’s NoTubes team headed up by Rebecca Fahringer. 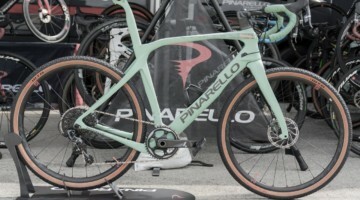 Each rider had two bikes, and since the tubeless tires can be swapped much more easily than tubulars, each bike has its own wheelset and then the team travels with many team wheels. 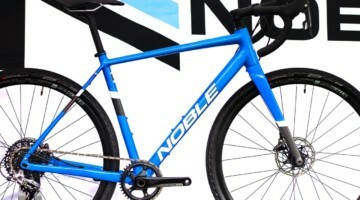 Van Dessel’s roster of riders showed how equipment options can change for riders, depending on the location and prestige of the race. The team had a full roster of riders in Louisville, with Caroline Mani, Sunny Gilbert and Cassie Maximenko all making the trip to the Derby City. 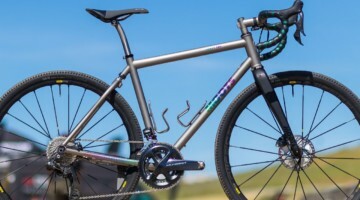 Mani was equipped with two bikes and five wheelsets mounted with two sets of Challenge Grifo intermediate tires, two sets of Limus mud tires and one set of Chicane file treads. 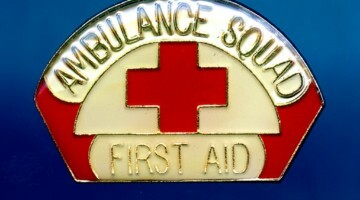 The latter was used on the trainer in Cincy and Louisville. In our feature story on Sunny Gilbert, aka Dr. Zjilbert, she talked about her and her husband Doug driving across the Midwest to race. When she went to the Major Taylor Cup in Indianapolis, she and Doug relived the good old days, as it were. Gilbert traveled with her two bikes and one spare wheelset. With Doug also racing the amateur singlespeed race, rack and trunk space in the Subaru was limited! Sometimes the pros’ situation isn’t so different from yours or mine. Some of the teams also shared what they take to the pits. The Donnelly team had riders in each of the U23 races and the Elite Men’s race, so they took several spare sets of wheels to the pits for mid-race changes. 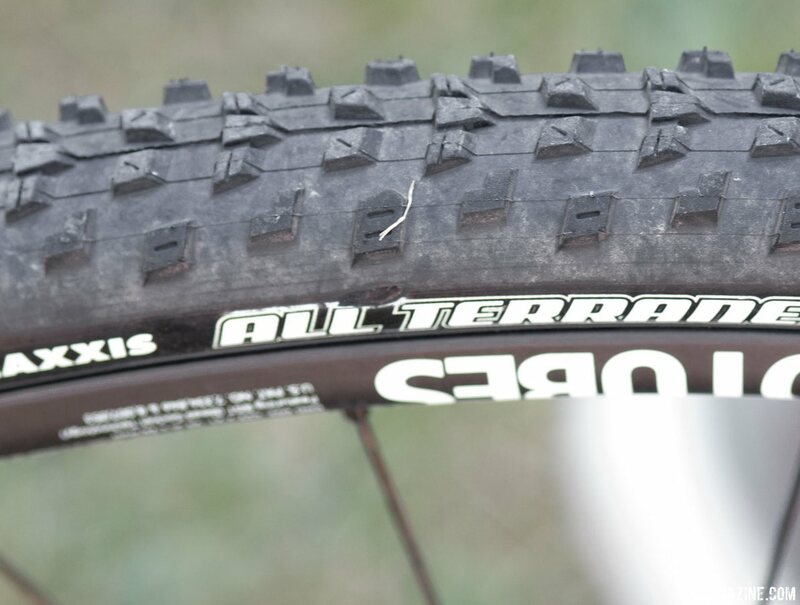 The Stan’s NoTubes team took two spare sets of tires to the pit. We didn’t ask specifically, but since tires changes can be made quickly, we would guess mud tires were popular in Cincy and Louisville. 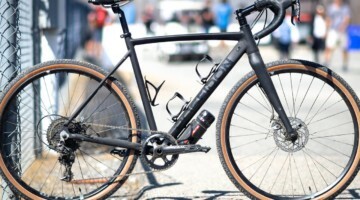 The Alpha Bicycle – Groove Subaru team takes a pit bike and two spare sets of wheels per rider to the pits. 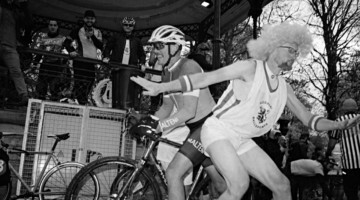 Since the team is made up of younger riders, it was one of the few teams that had more than one rider in any given race. Ortenblad said he takes several spare wheels to the pit during races. The tires are different than what are on his A bike and B bike to adjust based on conditions. In addition to asking about bikes, wheels and tires, we also wanted to get a sense of how pro teams fix flat tubulars during a race weekend. 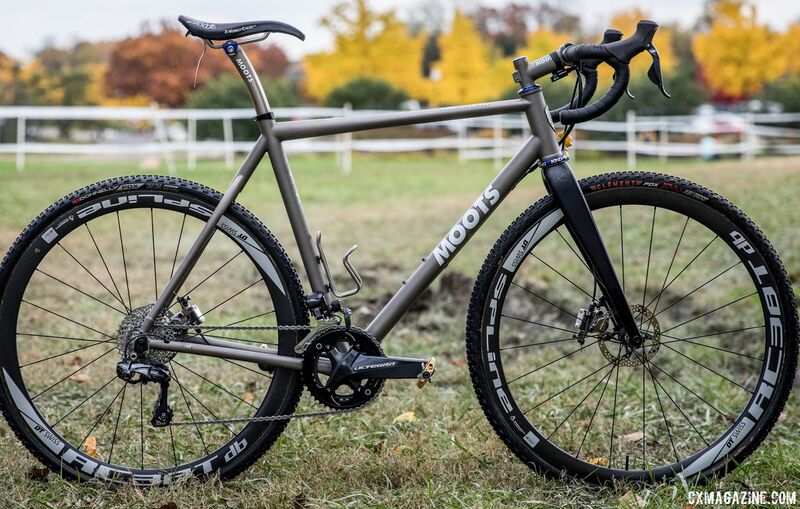 For amateurs, it is not hard to imagine traveling to a messy UCI weekend like the one in Indianapolis with only one set of mud tubulars and getting a flat during pre-ride or the Saturday race. Your intermediate backups are likely an option, but tires can make a difference in the worst of conditions. We wanted to see what options are available to address worst-case scenarios of flatting key tires. 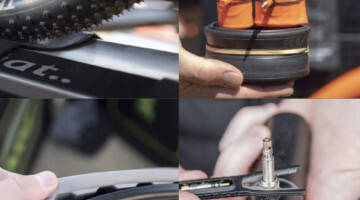 What Brandon learned is the teams most likely to try to repair flatted tubulars are those riding the Donnelly tubeless tubulars. Those Donnelly sponsored teams, however, have different approaches. The Donnelly team tries to repair flats using sealant, while the Team S+M mechanics prefer to try and patch/plug the tires when on the road. Doug Sumi, Kerry Werner’s mechanic uses plugs if he has to, but he prefers to just replace the tire. After Brandon’s hard work hitting the pits in Cincy and Louisville, we learned that there are a lot of different approaches teams use to equip their riders. Obviously, there is no substitute for money and a well-organized team, but on the whole, teams and individuals invest for success when it comes to wheels and tires. 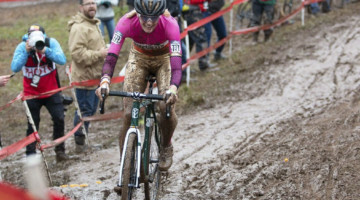 Conditions can change quickly in cyclocross, so having a variety of options and backups is important for riders whose sponsors, to varying degrees, want to see top-level results. 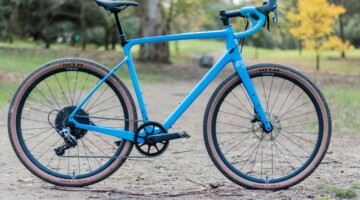 For amateurs, the exercise demonstrates one of the big benefits sponsorship can bring and suggests that, not surprisingly, having a solid complement of equipment is viewed as a key to success in cyclocross. 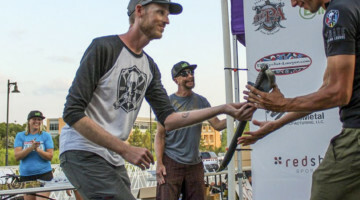 For those riders traveling to Reno, of course it helps to be prepared and have a truckload of everything, but take comfort in that some top pros have some constraints in terms of equipment and pit crew staff. Ever wonder what it takes to keep the team running smoothly at a muddy race like the @uci_cycling World Cup in Namur 🇧🇪? 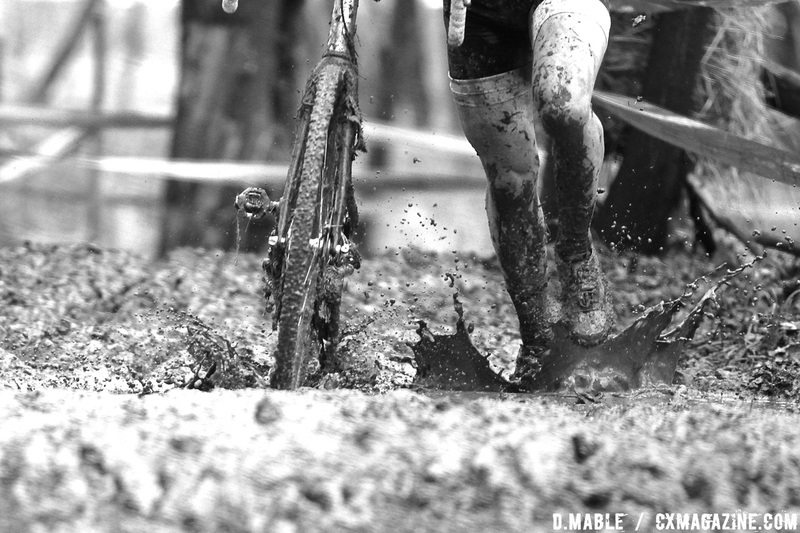 Let @stuthorne be your guide: What goes to the pit with the @cdalecxworld team? Each @thule backpack is identical with a few minor changes depending on the race. The bags are labeled – M, D, W – for Men, Devo and Women. Pictured is the bag that goes to pits for the Elite men. As such it has two different @fabriccycling saddles mounted on the post in the correct position and @zippspeed bar tape. Other than that they share the @sramroad parts. The RD is adjusted beforehand and the chains are cut to proper length. Each bag has a supply of @pedrosbikecare tools and lubes. We also bring with us a can of WD40 and some sealant. 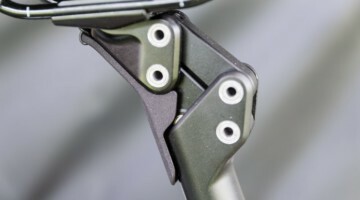 There is a small parts bin to bring along those essential bits and pieces, as well as a @ridecannondale hanger and seatpost binder. Having these bags setup for each race allows us to grab and go and know we have pretty much what we need. 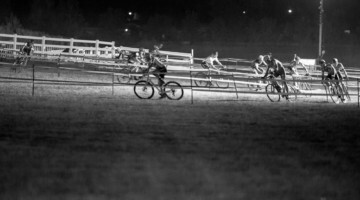 For more Nationals coverage, see our comprehensive home page for 2018 Reno Cyclocross Nationals coverage.